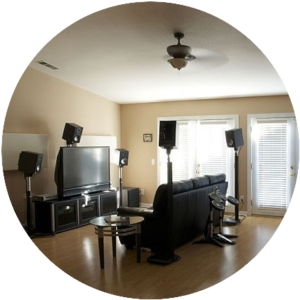 Let’s say your like to play video games and host a party and your want to get the right positioning, color and size of your new speakers to make your experience well worth the money your put into it. But after surfing the internet your found out its way better to use wireless speakers. Don’t your hate it when the instructions tell your to properly place the speakers in this axis point? Wish there was a place your can get the right customization for your home whether it’s a “Man cave” type of the setting or a real 3-D type of sound . To me it’s quite confusing where to start when comes to shopping for home theaters. You have one site with only reviews and no prices and one site with prices and no reviews. Customizing my home theater should be fun not complicated. I believe in order to get the most out of your home theater system is to have great surround sound from the best wireless speakers in the market. 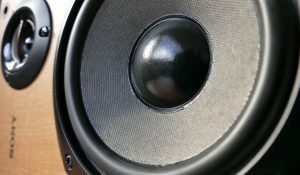 In life we all have a particular favorite thing we love the most and it could be ice cream, cars, color, and sports teams but When it comes to wireless speakers your have to make sure your home theater favors it as well. Sometimes we get all caught up in the price discounts for a particular type of brand only to find out its not comparable to the devices your already have. Ommi Jewell Satellite speakers Bose Lifestyle 650 Home Entertainment System is the smallest they ever made, which is great because your can place these speakers anywhere in the room and hear sound from everywhere. The wireless bass module has a quiet type of technology to cut back on the distortion and gives a deeper bass. Sony CT800 sound bar with 4K HDR, with Wireless Subwoofer (HT-CT800) This sound bar rocks! I love the way it delivers the sound throughout my apartment. What’s great about using this device is the compatibility, your have the control to use the best surround sound speakers from Sony that fits your need. Dolby TrueHD and DTS-HD wireless sub woofer has a POWERFUL kick which delivers clean crisp sound and high definition clarity. Enclave Audio CineHome HD 5.1 Wireless Audio Home Theater System Enclave audio gives your the hassle free ability to operate without the use of cables, cords or clunky recievers . Custom built by WIsa speakers with HD 360 degree surround sound, and DOLBY DIGITAL DTS technology! These are my top three speakers to use, this is a nice place to start off for shopping if your ask me. I know there will be newer brands that will top these in a matter of years but its good to know what’s the best ones out there today. Are You Getting the Best Out of Your Digital Receiver? If your receiver does not deliver in the best quality sound, experience and style then it’s time to look into a new one. I love keeping old technology, once I get more familiarized with something like a windows’ browser… Boom!, a new one pops up and has all the latest bells and whistles to use trouble is how to use it? I didn’t know how to properly use my receiver. I knew it connects to my T.V. and surround sound but I didn’t know where to properly place it, and had no clue what to plug into. Something told me I should do some research on installation techniques. So I do what everyone else does and ask google and then go to YouTube and then I stumble across this. Yamaha offers an exclusive low range enhancement technology which gives your a Bass-rich sound to give your the experience your been waiting for the best part about this is the speakers which gives off such and amazing sound from this receiver, it’s like taking a real live game sound from a ballpark and squeezing it into a speaker the size of an apple. Set up controls is a snap. I found out that Yamaha provides a AV setup guide to make sure everything is hooked up properly and your get support and assistance to give your best bang for your buck. The guides on the app have setting to help your on T.V. connections, speaker connections and power amplifier protocols. coolhometheaters.com to find more ways to improve your sound system. I like to call these two the meat and potatoes of the theater system. In today market sub woofer can range between 50 to 1000 dollars but your don’t have to buy the best on the market in order have the best quality. Many people find out it pays to shop around for the best buys. Just be aware of the fine print and special instructions, It’s never hurts to read and check out reviews on the particular brand your want. Start your research early and often to find out on the latest home theater systems. There is no wrong way to do it. You have all the power to customize your home theater. The only thing it may require is your creativity. Wireless speakers can to set up, great to use for good surround sound but I love the stylish look it has. my living room looks with this style makes my home complete. DO your need more space? Do your like the quality of sound have now? 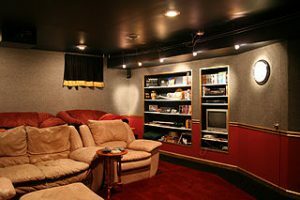 It’s your dream cave or movie theater, find out how do your want build your system and compare, knowing these things helps on your pocket book and time. Improve your home theater with the right information and prices and styles can make a difference in the way your want entertainment. Hi Jerald, Good review, it looks like you did your research, I could not agree with you more, wireless is the way to go, I am a residential contractor and we do a lot of wood floor work, so we need to empty the rooms we work in, and trying to hook back up the entertainment systems is always a problem, the wireless systems are way more easy to deal with. I’m glad you found this article enjoyable. I will have more insights on new brands coming up soon.